GSI-Asphalt is a successful SME that has been growing steadily for years. There are good reasons for this: efficient processes, a high quality standard and a business model that is geared to the local authority sector, particularly the construction of utility lines and the expansion of the fibre-optic network. The WIRTGEN GROUP's modern machine fleet - and the WITOS FleetView and SmartService packages - make a key contribution to the company's efficiency and quality, because they help GSI-Asphalt get the most out of their investments: "The due inspections and service intervals are scheduled by the WIRTGEN GROUP for all the machines," explains Werner Aicher, Managing Director of GSI-Asphalt, highlighting a key advantage of WITOS FleetView. 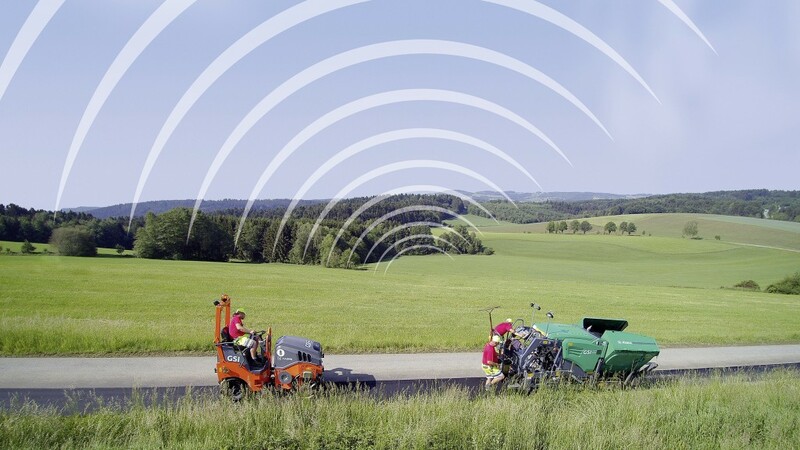 The telematics solution enables the WIRTGEN GROUP to analyze service-related parameters, such as total operating hours, and to send notifications of upcoming servicing intervals to customers. Customers and their employees also have access to this data in a clearly structured web application. Via a special online connection, they can take advantage of various analysis functions: In the "Fleet" sub-menu, for instance, users get a concise overview of the current operating status of their machines. With the "Monitoring" function, they can enter locations and times that define where and when machines in their fleet are permitted to operate. The web application further offers a map view to locate individual machines, a summary of past or pending servicing and maintenance appointments, messages and a history view of operating and position data. "The telematics solution is straightforward, and we don't have to keep thinking about our machines," says Aicher. "The system has significantly increased the capacity utilization of our machine park. What's more, we can always be confident that there will be no avoidable trips to the workshop during a construction project. As a result, our operations can be planned more effectively and are more cost-efficient, too, because we always have three weeks' notice ahead of service appointments, enabling us to reschedule machines if necessary or make use of substitute WIRTGEN GROUP machines. This way, we don't have to interrupt our work." And when a machine is due for servicing, the SmartService package helps the contractor GSI-Asphalt to minimize costs. Companies that use a variety of machines from WIRTGEN, VÖGELE and HAMM or - as in the case of GSI-Asphalt - a fleet made up entirely of WIRTGEN GROUP products, enjoy further benefits: their contact at the relevant WIRTGEN GROUP subsidiary can coordinate a single service or maintenance appointment for multiple WIRTGEN, VÖGELE and HAMM machines. This further increases machine availability. With WITOS FleetView, servicing has become a more automatic process for GSI-Asphalt - but without losing the personal touch. The company has a permanent contact at the WIRTGEN GROUP in Augsburg, who takes care of all their concerns, including those that go above and beyond WITOS FleetView. "We genuinely profit from the rapid response times, even when we have questions or want to make use of the application-specific advice. This reinforces our view of the WIRTGEN GROUP as a true partner who offers us reliable support," says Werner Aicher.